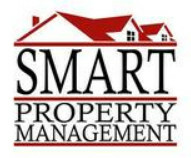 At SMART Property Management Inc., we are committed to delivering professional, experienced and responsive management for owners of income producing residential properties. As a family owned and operated business SMART Property Management Inc. strives to provide each of our clients and their tenants with professional, prompt, and courteous service. Each of our staff members treats all clients and tenants with respect and dignity. As a real estate agent for many years, the owner of the company will meet with you, to evaluate your property and make recommendations to prepare your property in order to obtain an optimal monthly rental income. He will do a market analysis to determine target rent for your property utilizing a wide range of professional resources.